The above video showcases some of Splice Marketing’s recent video projects for clients including Chiropractors, Dentists, Dietitians, Surgeons, and Physiotherapists. You’ve no doubt heard the hype about video marketing and its many benefits. save your patients / clients hours of reading by explaining a procedure through video. Knowing what to include in your video can be tricky so the team at Splice Marketing will work closely with you to develop the concept, key messages, and scripts to help you produce a high-quality video that will resonate with the desired target audiences. We know first-hand video is a great way to achieve business objectives and see ROI by including video as part of your marketing efforts and we have the case studies to prove it. For more case studies or if you have questions, please contact us to discuss further. If you’re interested in video but don’t know where to start or what type of video might fit your objectives, here are some of our recommended styles of videos that will work well to convey your message and resonate with your patients and clients. Splice Marketing can help you create the perfect video to achieve your marketing goals. Below are a few different examples we’ve created for our healthcare clients. Google will LOVE your videos too! If one of your marketing objectives are to rank higher in Google and be found when specific symptoms or services are Googled in your local area, video marketing will work wonders to help you achieve these goals. Videos keep website visitors engaged, meaning they are spending a longer time on your website and listening to your content. This online patient behavior is favorable to your other marketing activities including search engine optimisation, brand awareness, and link building – all of which are deciding factors with the Google algorithms when it comes to ranking your site higher than your competitors. What you get when you partner with Splice Marketing for your video project. We guarantee high-quality videos, full management of your video production from start to finish, our knowledge and experience all at an affordable cost. 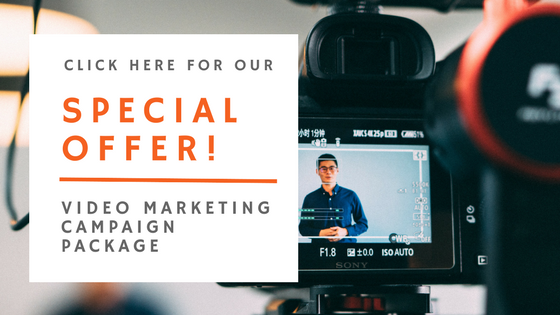 To minimise cost and time involved in producing effective videos, Splice Marketing has created a “Healthcare Video Marketing Campaign Package” aimed at healthcare professionals in Australia. This package includes 2 videos, video production and a marketing campaign for 3-months, plus a few extra bonuses! If you’d like to learn more, click on the offer image below.